Make your basement work for you. Converting your basement into an apartment or rental unit is a great way to earn extra income, and most earn back their investment within the first year. There’s plenty of square footage in the basement that, once finished, can function as its own living space. 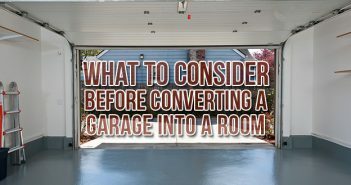 If you rarely use your basement, consider turning it into something useful and profitable. Some municipalities don’t restrict what you do with your property, but others will require you to abide by certain zoning laws and regulations. Common zoning codes address the number of tenants, fire escape plans and parking requirements for residents. Check with your city to see if any zoning laws will affect your plans to create a basement apartment. 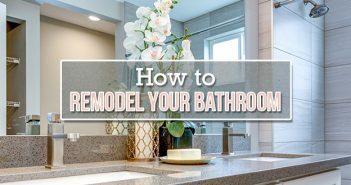 This may cause you to alter aspects of your renovation, but it’s better to know up front so you can plan ahead and avoid making changes later. Budgeting for your basement apartment conversion is extremely important. Having a set budget in mind will allow you to establish how long it will take to start earning a return on your investment, and whether the costs will outweigh the benefits. If you have a finished basement and are not starting from scratch, your budget will be smaller, but you should consider making upgrades to increase your rental’s value. Decide if you want to create a traditional or studio apartment. While the open floor plan of a studio apartment may save you time on building new walls, a traditional floor plan will allow you to charge a higher price. Analyze the square footage of your basement and determine if a one or two-bedroom floor plan will work best. 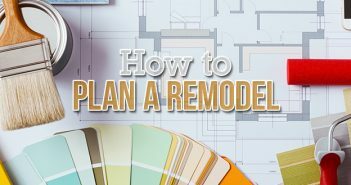 After you’ve settled on a general layout for your basement apartment, it’s time to create the floor plan that will serve as the foundation of your renovation. Consult with a contractor to help carry out the appropriate plumbing, electrical and insulation work, as well as to assist with drywall installation. Installing an exclusive exterior entrance to the unit. Creating defined living spaces and a functional layout. Enabling heating and cooling with an independent system. Installing the necessary electrical and plumbing systems. Insulating the walls, floors and ceiling – if you are working with an unfinished basement. If your plan is to build a studio apartment instead of a traditional layout, creating defined rooms won’t be necessary. Flooring, especially in a basement apartment, can be a serious issue. The floors of an unfinished basement are usually dirty and cold. If you are looking to install hardwood floors in the rental unit, you might want to consider heating the floor. If not, carpet is an easy way to create a cozy, tolerable space. In order for the basement apartment to be completely livable, there are useful amenities that need to be installed. Other than the basic essentials, such as a kitchen, bathroom and living room, a designated laundry room would be beneficial – even if it’s a stacked unit in a closet space. In the kitchen, besides a refrigerator and stove-top, a built-in microwave would be an added bonus. Even if you are tempted to brighten up the basement with bold walls, stay away from vivid colors. Neutrals will play off any natural light that comes in through the windows, while keeping the rooms looking fresh. Be wary of color trends if you don’t envision repainting each year. While listing a fully furnished apartment isn’t common, it certainly is valuable. Renting a fully furnished unit is essential if you plan to rely on AirBnB for income. But if you plan on using your space as an apartment, renting as a furnished unit can give your monthly rent numbers a boost, just be mindful that your furniture might incur a few scratches and dents. Now that you have a beautiful new rental unit, it’s time to start searching for tenants. Take photos of your finished space with a professional camera to show off just how much hard work has been put into designing the unit. If you aren’t experienced in the do-it-yourself field but want to try tackling a basement apartment renovation on your own, peruse our Exceedingly Comprehensive Guide to DIY Home Improvement before you get started.